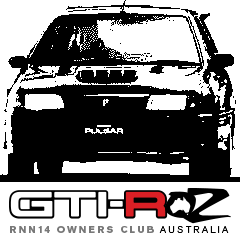 Having recently had someone crash into, and write off my VZ-R N1, I am looking to purchase a GTiR. I have located one in South Australia, the listing is as follows. I have found an engineer in Queensland willing to engineer the fuel setup in the boot with minimal work (need to get it enclosed) and the BOV can be plumbed back with a kit from the manufacturer. I am posting here to find out if this is a known car on these forums, and if there is anything I should know about it if that's the case. Otherwise, I'm looking for advice from GTiR experts as to what other things I should be looking for, problems to check closely for, other insurance/registration hassles bringing it into Queensland, etc. I've asked for video of the car running and a compression test, but any additional advice is extremely appreciated. That car is not recognisable as having been in the club previously. Looks clean in the pics and specs are decent (and description certainly sounds promising). I'd want to see details and receipts for exactly what has been done to the engine... what the turbo specs are (some 2871 combinations can be laggy)... and what clutch it's been running. 220kw atw (90-100% more than stock) can't help but put stress the gearbox... significantly so if it's been a "grippy" clutch (ie. anything but full-face organic).